Over the last year, through its Sen4CAP project, ESA has been working closely with DG-Agri, DG-Growth and DG-JRC of the European Commission (EC) to demonstrate how the Sentinels could take the policy into a new era. As a result, EC announced new rules (which came into force on 22 May 2018) for allowing the use of the Sentinels in the Common Agricultural Policy (CAP), a move that could benefit around 22 million farmers. This landmark change means that data from the Copernicus Sentinels and other Earth observation missions can replace the physical visits to farms and checks that are necessary for the EU to issue payments to farmers. CS ROMANIA’s involvement in the Sen4CAP project (as a part of a consortium led by Université Catholique de Louvain) consists of system design, software development and implementation of image processing chains and products generation. 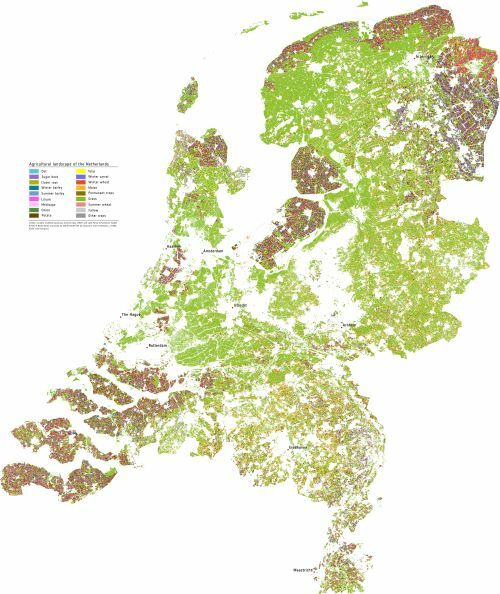 Below you can see a crop-type map of the Netherlands based on a time series of 2017 data during the growing season from the Copernicus Sentinel-1 and Sentinel-2 missions. For more information on Sen4CAP please go here. For more information on the European Commission’s new rules for CAP go here.